In an age before the Marvel Cinematic Universe helped cement superhero movies as a Hollywood staple and more than just a passing fad, director Sam Raimi kicked that door wide open with his live-action Spider-Man trilogy. There were plans for a fourth movie that sadly never got going. Instead, Sony opted for The Amazing Spider-Man reboot with Andrew Garfield, under the direction of Marc Webb. Now, however, a small group of fans is going to try and bring Raimi's Spider-man 4 to life. A group based in Seattle, Washington has launched a Kickstarter campaign in order to get the funds needed to make this movie happen. While the full script for Sam Raimi's proposed fourth movie, which would have seen Tobey Maguire return to the role of Peter Parker once more, never made it online, quite a bit of info has leaked out over the years. Per the Kickstarter page, they're going to use all of that info, and their own creativity, to try and make Spider-Man 4 a reality. 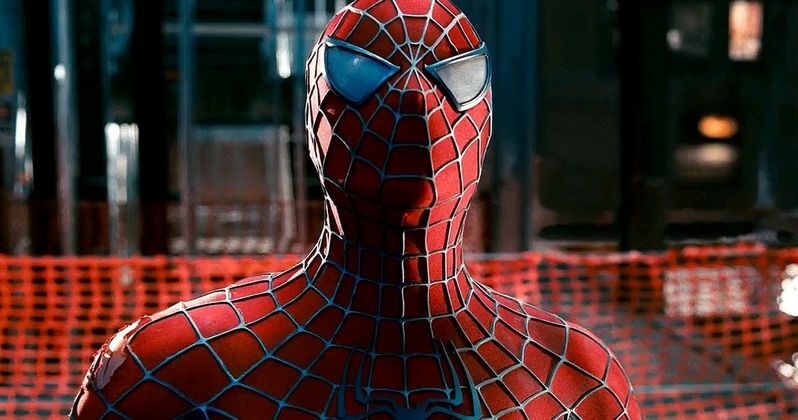 "If you're reading this, more than likely you're a fan of Sam Raimi's Spider-Man Trilogy, and you were probably disappointed when years ago Spider-Man 4 was cancelled, over the last few years a lot of information has come out about what the film was going to be and so we've gathered a large and talented team of creative people in the Pacific Northwest to fit together this jigsaw puzzle as best we can, put our own spin on it, and make a feature length fan film of Spider-Man 4!! Will it be as amazing as the giant Hollywood budget motion picture event that the original Spider-Man 4 should have been? Nope, it'd be ridiculous of us to think we could do that, but we're going to do everything we can to make it as great as possible!" They are only asking for $10,000. In terms of day to day money for most of us, that's a lot. But as far as making a Hollywood blockbuster goes? That's not even a drop in the bucket. Especially considering that, based on what they detail in their campaign page, this sounds like a very ambitious and action-packed movie. "We've taken elements released from the original Spider-Man 4 plans Sam Raimi set down (Opening montage of Spidey fighting different villains, Vulture as the main villain, Black Cat, and even Lizard! Etc.) and added some of our own (Mainly the involvement of Kingpin instead of Adrian Toomes' origin story revolving around yet another forgettable business man). In this chapter Peter Parker's life is in another slump, evicted from his apartment, his relationship is rockier than ever with MJ, his internship at Fisk Industries ended abruptly when his new mentor Adrian Toomes was let go, and now the mysterious thief 'Black Cat' has shown up to turn his life upside down even more! This film will introduce fan favorites such as Vulture, Lizard, and The Kingpin! And is definitely going to be one of Spider-Man's most difficult battles yet!" Bringing in Kingpin and Black Cat would be something the movies haven't seen previously. Though, Felicia Hardy, as portrayed by Felicity Jones, was featured in The Amazing Spider-Man 2 and Vincent D'Onofrio memorably played Wilson Fisk in Netflix's Daredevil series. Interestingly, there is no mention of Mysterio, who was heavily rumored to be a major part of Sam Raimi's proposed fourth movie, possibly to be played by Bruce Campbell, who had cameo roles in the previous three movies. As of this writing, the campaign has raised $1.049 of its goal, with 58 days left. Can they really pull this off even if they do hit that relatively modest goal? We shall see. In the meantime, be sure to check out some of the concept art and animation testes below. Those interested in contributing can head on over to the official Kickstarter page.